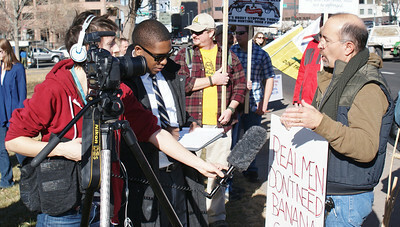 TV news reporter and crew covering a town hall meeting being held by Colorado Congressman Micheal Coffman. 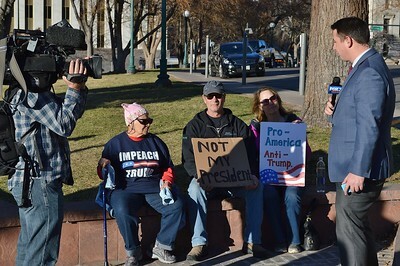 Protesters opposed to President Trump being interviewed by local TV news reporter. 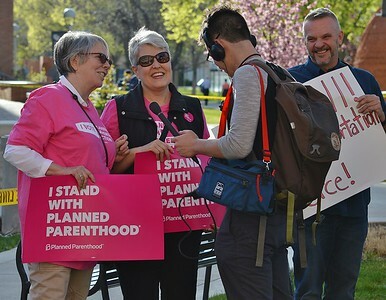 Radio news reporter interviewing two Planned Parenthood supporters. 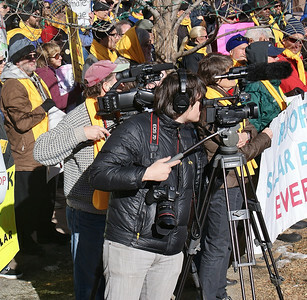 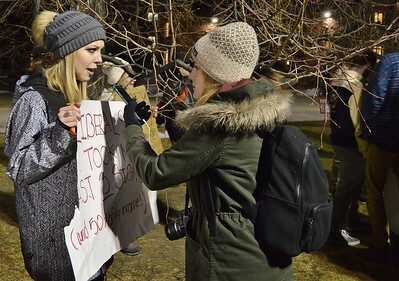 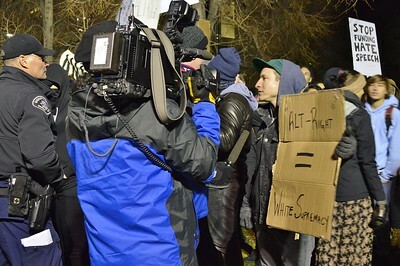 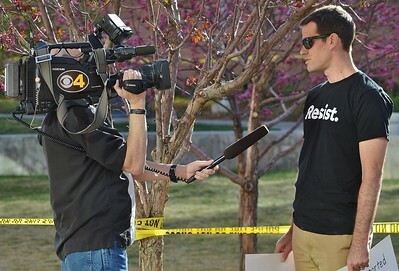 TV news reporter interviewing man at protest outside town hall meeting held by Colorado Representative Micheal Coffman. 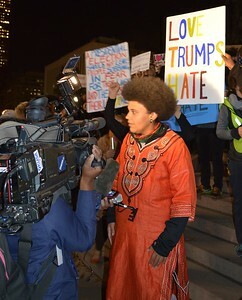 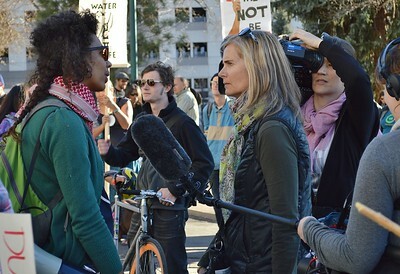 African American woman being interviewed at protest against Donald Trump. 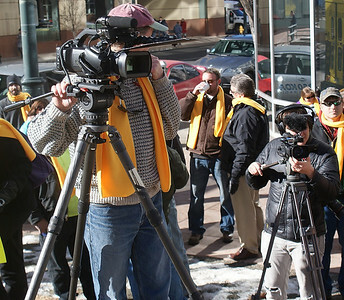 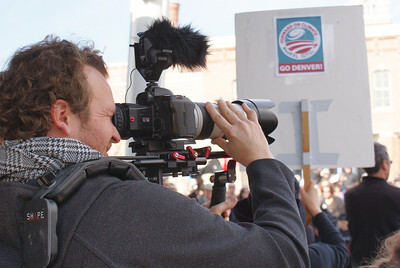 Reporter from the Denver Telemundo affiliate captures the action at a labor protest on May Day in Denver, Co.
A photographer captures the action at a labor protest on May Day in Denver, Co.
Row of news photographers covering an outdoor event. 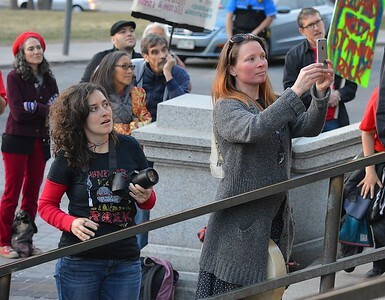 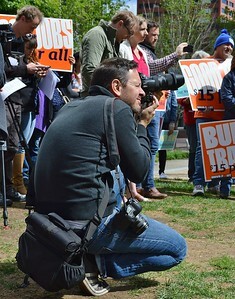 News photographer takes a picture. 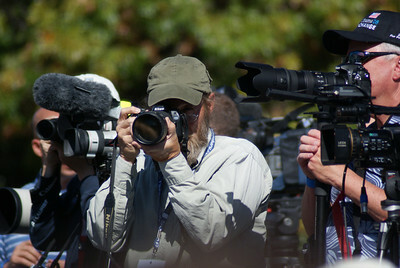 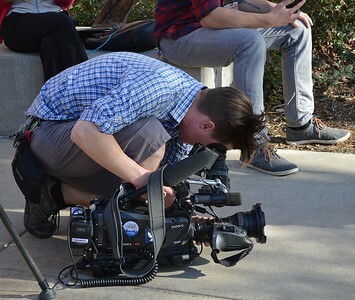 News photographer preparing to shoot a picture, with TV camera in the background. 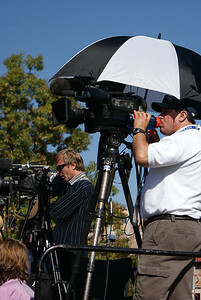 Video camera operator under an umbrella, sipping a drink. 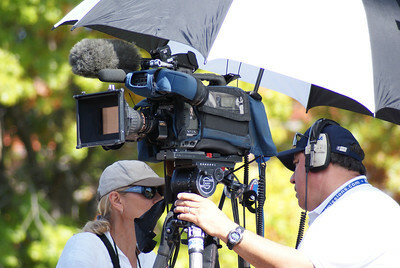 TV camera operator under an umbrella. 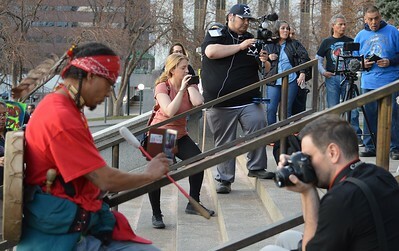 Still photographer snaps a picture. 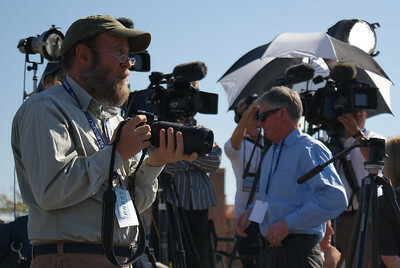 Other photographers in background. 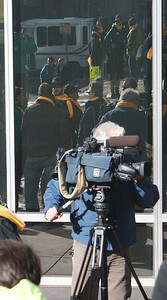 TV news camera operator with camera on shoulder. 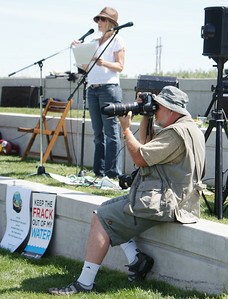 Photographer and radio reporter at an outdoor rally. 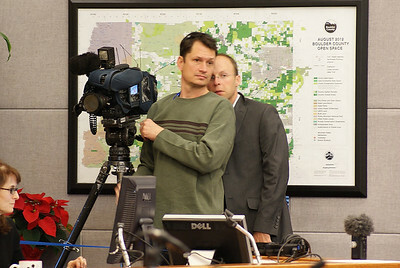 Photographer takes a picture as as women speaks at a microphone behind him. 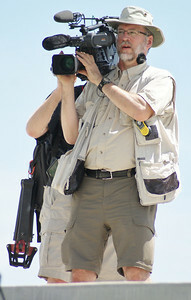 Video camera operator with camera on his shoulder. 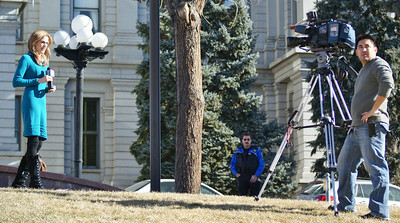 Woman reporter sitting on lawn, holding a microphone, with video camera in front of her. 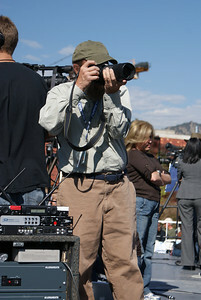 Video camera operator pauses while covering a political rally. 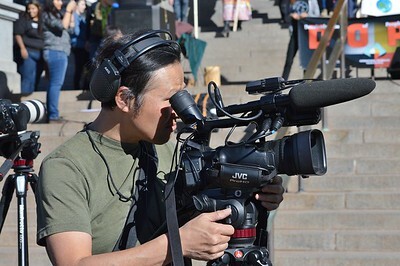 Video camera operator with camera on shoulder and boom microphone behind him. 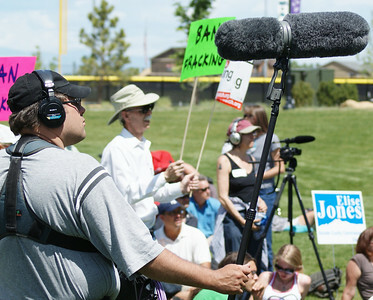 Sound technician holds a large microphone at a political rally. 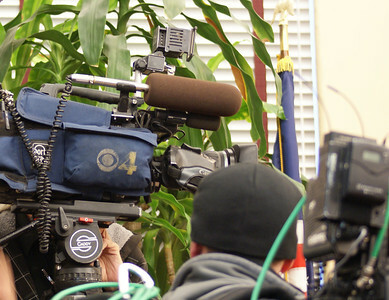 Television news camera with microphone. 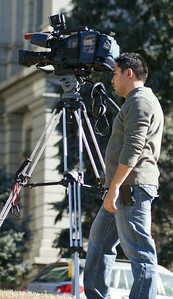 Video camera operator with camera on tripod. 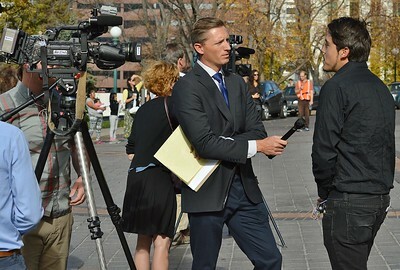 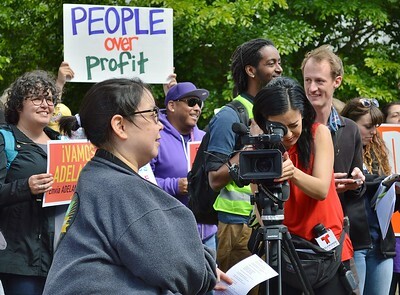 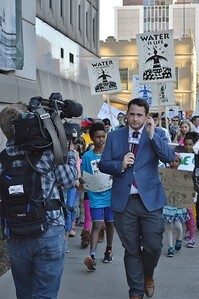 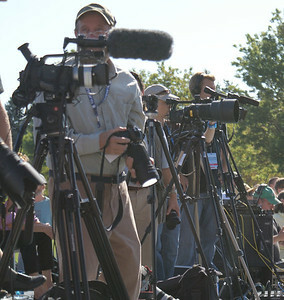 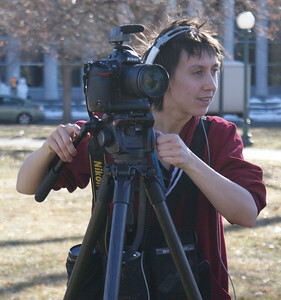 Television news reporter from Univision, standing in front of camera on tripod and camera operator. 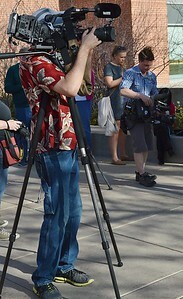 TV news camera operator standing next to camera on tripod.